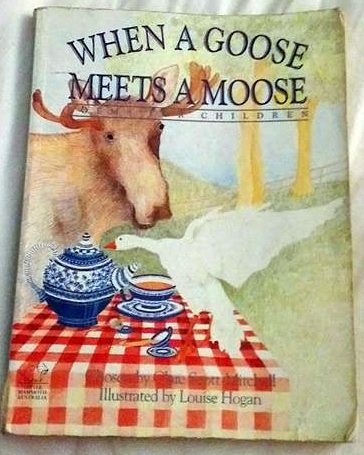 One of my favourite ways to fuel my imagination when I was a child was by reading the anthology of poetry in When a goose Meets a Moose: Poems for Children. In fact, 90% of the poetry I enjoy still comes from this book of limericks and simple rhymes. As someone who does not seek out poetry (and certainly does not write any) the only others I enjoyed were the ones handed to me in high school Literature class. When a Goose was my favourite book as a child and I have to ask if any of you out there came across it. 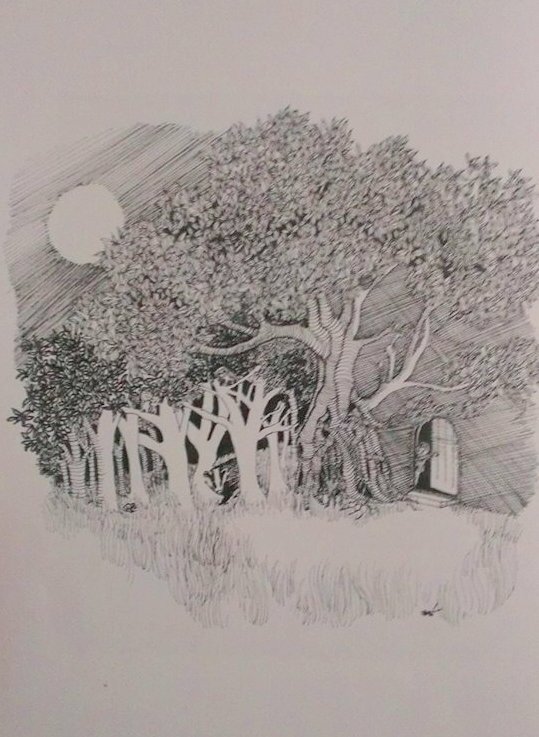 I tried to find the book online (Goodreads, Amazon, Google Image search) so I could show you all the cover for reference but apparently pictures of this treasure don’t exist online. Until now. I was able to conjure so many feelings and images in my head when reading this book because of the work of the illustrator, Louise Hogan. Another google search showed me she drew for 3 books so I am unsure if you will have come across her pictures. I loved them for making me feel as if they were familiar friends but also strangers at the same time. If she happens to one day google her own name or this book I hope she reads this: Louise Hogan, you were one of my favourite illustrators as a child and still remain a favourite artist today. Thank you for the wonderful drawings and childhood memories! Though the poems were gathered together for the enjoyment of children, they are still wonderful. Perhaps this is purely because I loved them when young. The picture that did the best job of awakening my 7 year old imagination and wonder. I wish I could be in that forest. Louise is my lovely aunty, will show her this! Oh my! That would be quite wonderful. I hope she isn’t offended by my posting her drawings. Reblogged this on brinzee's Blog. Lovely post. limericks were my favourite as a child. I think limericks were what first made me realise how fun words could be. I don’t recall ever reading this book. 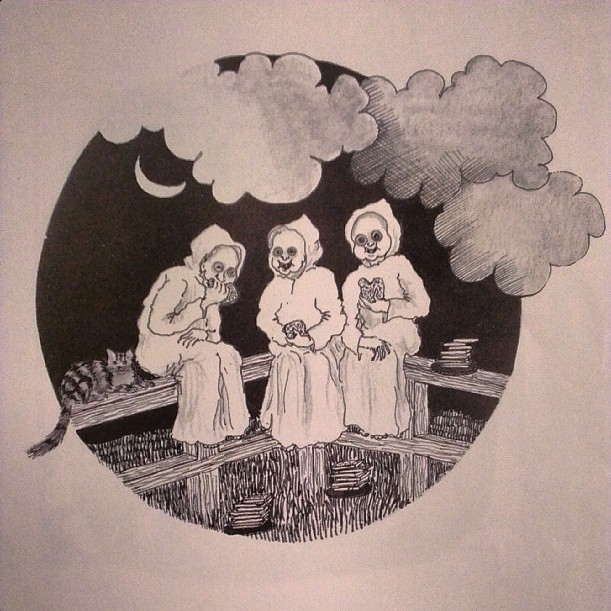 But the picture of the three ghosteses looks very familiar (and a little creepy…), so maybe I have read it after all! It’s amazing that a picture can stick with you for such a long time.